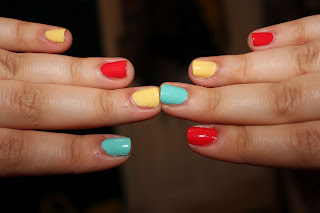 See Sarah Swatch: Twinsie Tuesday's Skittles! 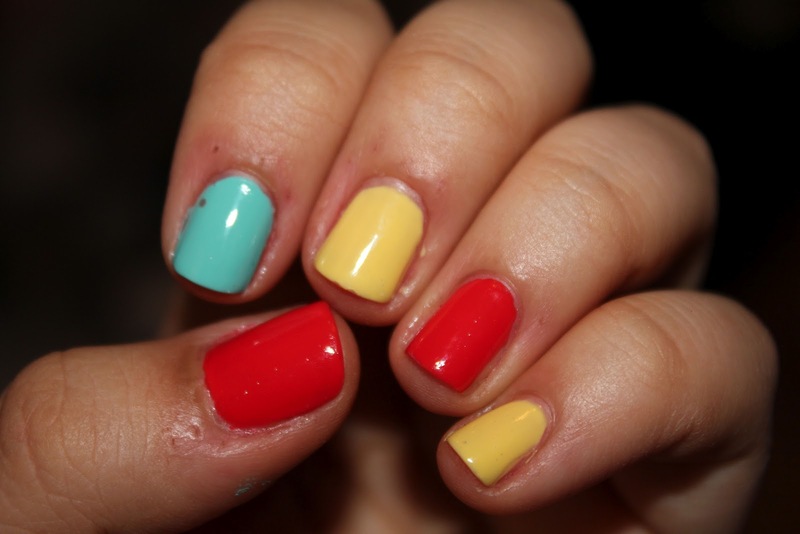 Haha, anyway, my skittle mani was actually done last week, before I looked at this week's theme. I was in a good mood and painted my nails bright, summery colors! I didn't have time to change them before my choir concert, oops! But a friend in choir told me they looked like a circus:] So here's my circus nails for Twinsie Tuesday! I wanted them pretty random, so I had no real pattern in mind when I did these. Sally Hansen: Barely Bluebell. 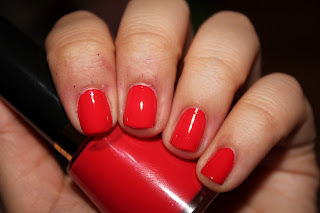 2 coats, great formula! This is from the Prabal Gurung mini collection for spring, and I'm in love. Sally Hansen: Buttercup. This is 3 coats, had a little bit of streaking and it's more jelly-like than a straight creme polish. It's definitely my yellow of the summer. Fun fact: yellow is my favorite color, but I hardly own any yellow polishes. Revlon; Fearless. This is a tomato-y red, and it's bright and cheery and I can so see it on my toes on the beach. 2 coats! What do you think of my skittles?? I love it Sarah!! It really does remind me of the circus. 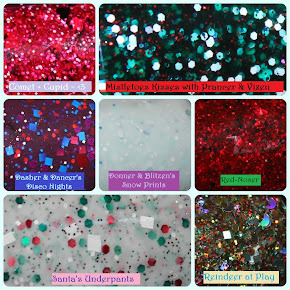 The colors clowns would wear, lol. thank you! and i can't wait for more gorgeous weather soon! Fantastic manicure!!! :D Wonderful colours (I adore that blue!! :D)! sally hansen did a good job with that one, right?! it's so oceany! It does look like a circus! I LOVE it! I want it on my nails! This looks great! How convenient that you already had swatches for today's topic ahead of time without realizing it - that always helps lol. I love the colors you chose! So fun and bright! Good luck with your papers! 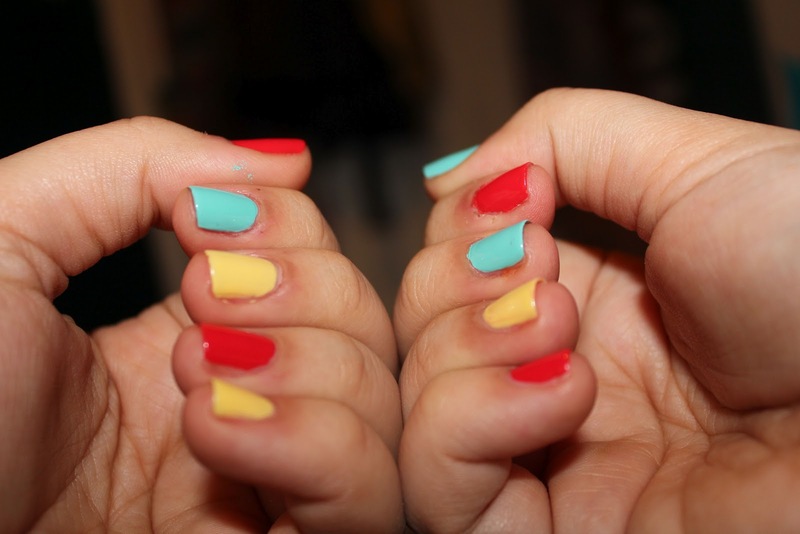 I love your skittle nails!! I love the color combo, very unique yet amazing! Love this! Plus the use of Sally Hansen CSM? Of course I'm in love! I must say, very cool skittles! Love the color combo!